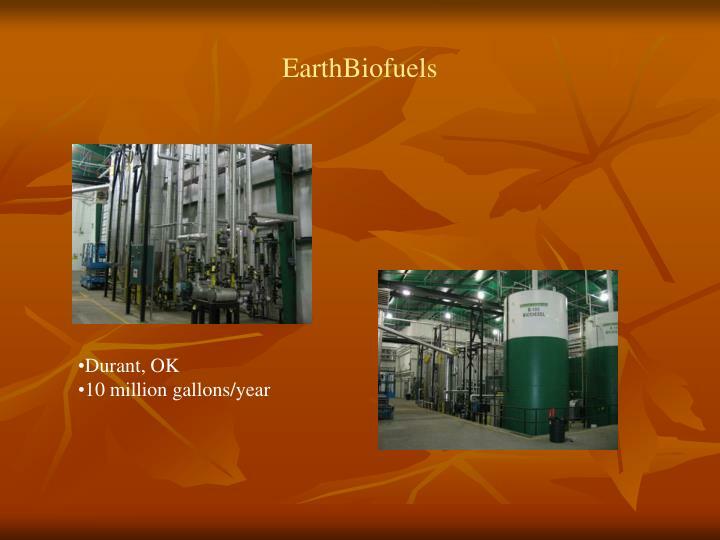 Biofuels: Fuels made from cellulosic biomass resources. 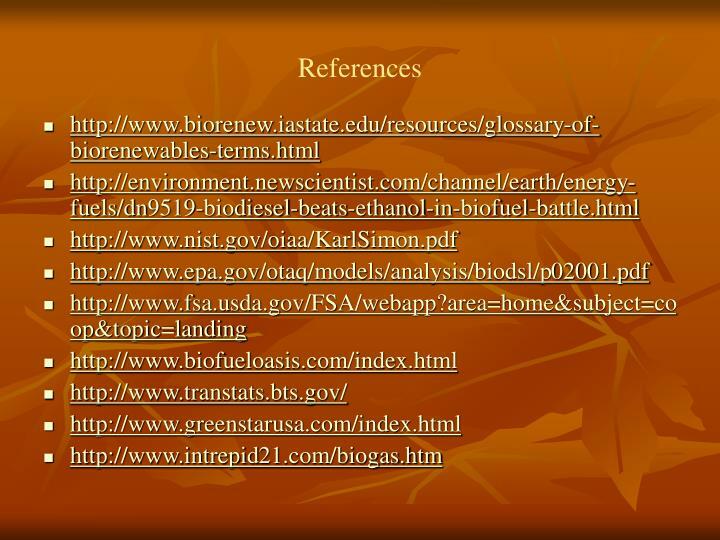 Biofuels include ethanol, biodiesel, and methanol. *Also methane gas for heat. 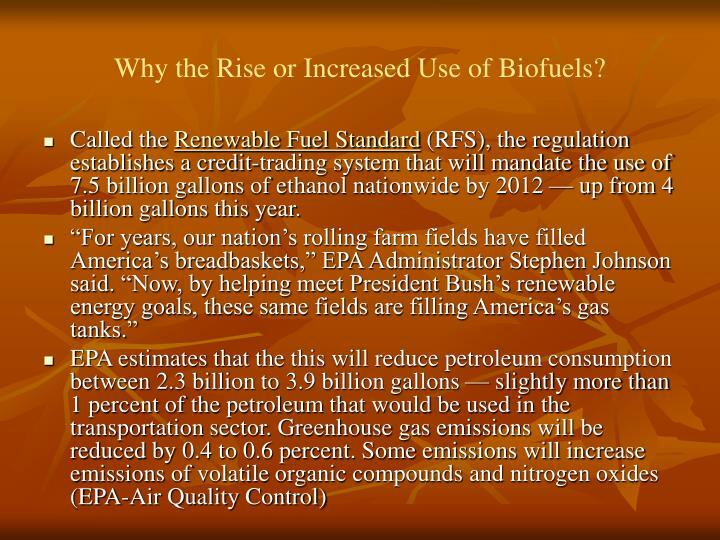 Why the Rise or Increased Use of Biofuels? 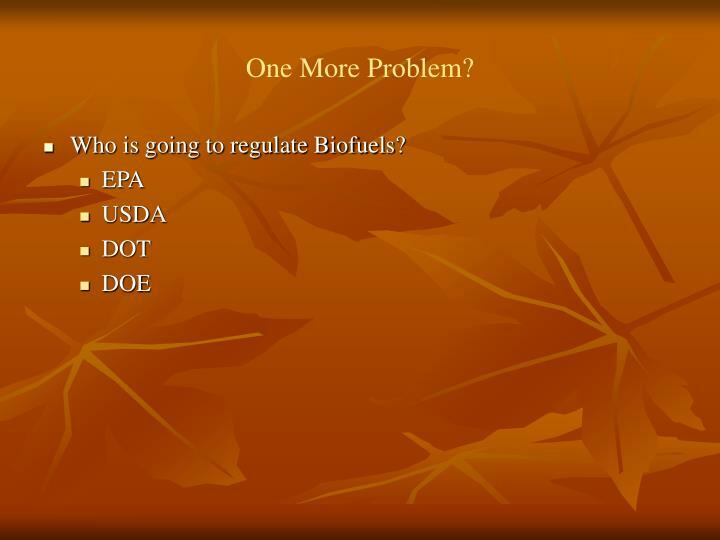 Called the Renewable Fuel Standard (RFS), the regulation establishes a credit-trading system that will mandate the use of 7.5 billion gallons of ethanol nationwide by 2012 — up from 4 billion gallons this year. 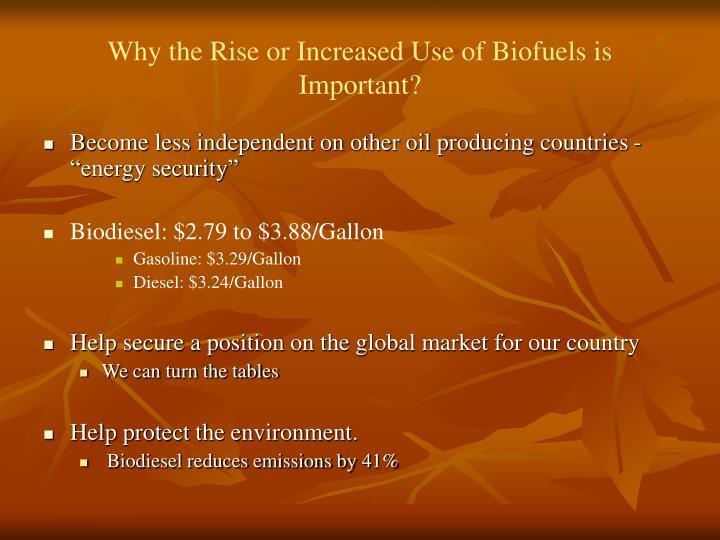 Why the Rise or Increased Use of Biofuels is Important? 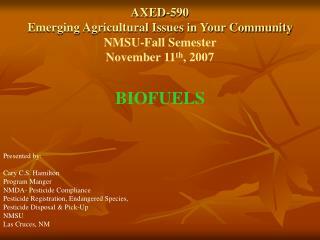 Q: How many gallons of ethanol are produced from a bushel of corn?A: 1 bushel of corn = least 2.5 gallons of ethanol. Produce 1.6 lbs. of corn oil, 10 lbs. of high protein feed, 2.6 lb of corn meal, or 31.5 lbs. of starch to make beverages or sweeteners. 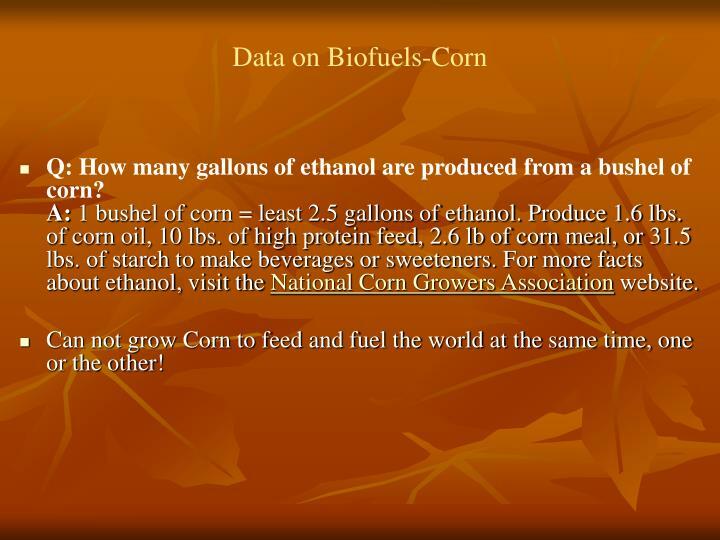 For more facts about ethanol, visit the National Corn Growers Association website. Can not grow Corn to feed and fuel the world at the same time, one or the other! 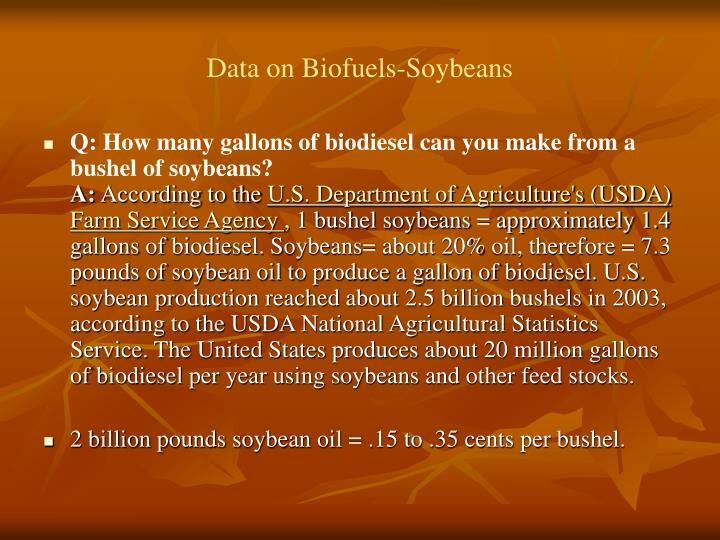 Q: How many gallons of biodiesel can you make from a bushel of soybeans?A: According to the U.S. Department of Agriculture's (USDA) Farm Service Agency , 1 bushel soybeans = approximately 1.4 gallons of biodiesel. Soybeans= about 20% oil, therefore = 7.3 pounds of soybean oil to produce a gallon of biodiesel. U.S. soybean production reached about 2.5 billion bushels in 2003, according to the USDA National Agricultural Statistics Service. 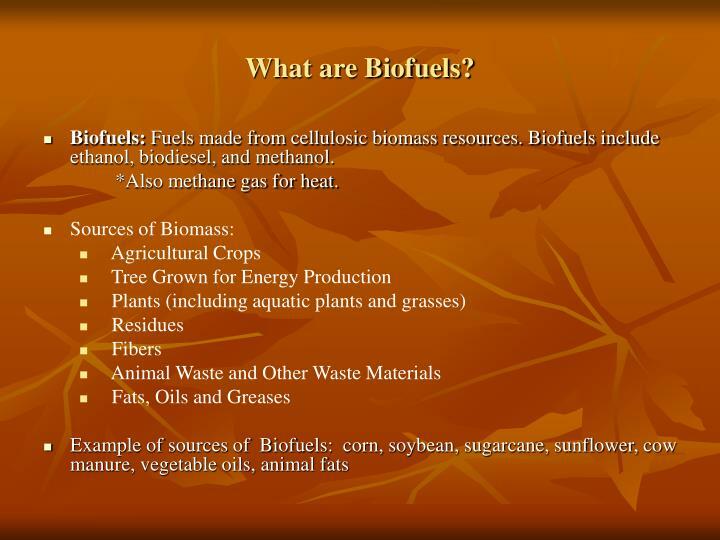 The United States produces about 20 million gallons of biodiesel per year using soybeans and other feed stocks. 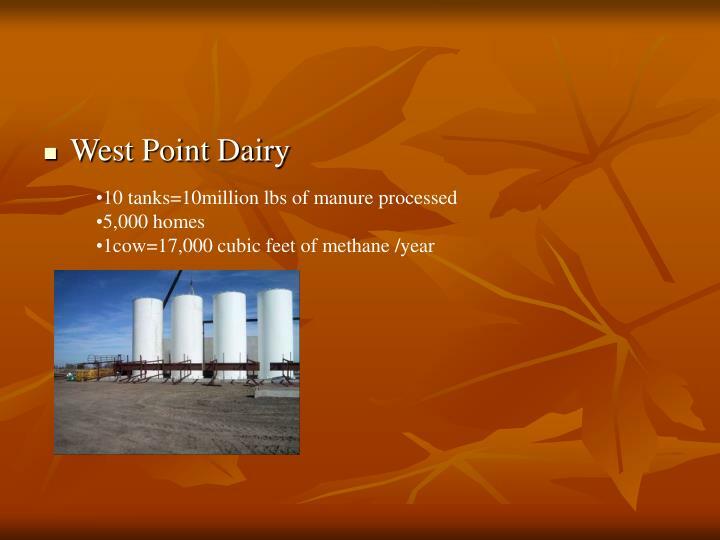 2 billion pounds soybean oil = .15 to .35 cents per bushel. 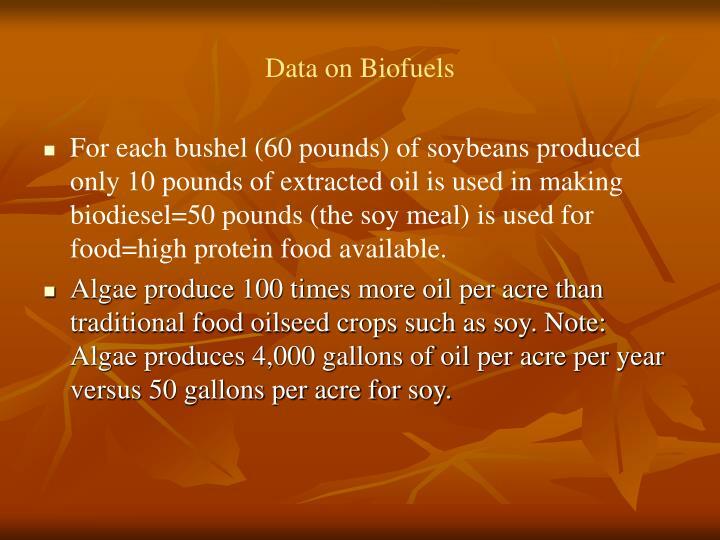 For each bushel (60 pounds) of soybeans produced only 10 pounds of extracted oil is used in making biodiesel=50 pounds (the soy meal) is used for food=high protein food available. 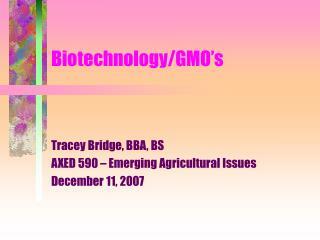 Algae produce 100 times more oil per acre than traditional food oilseed crops such as soy. 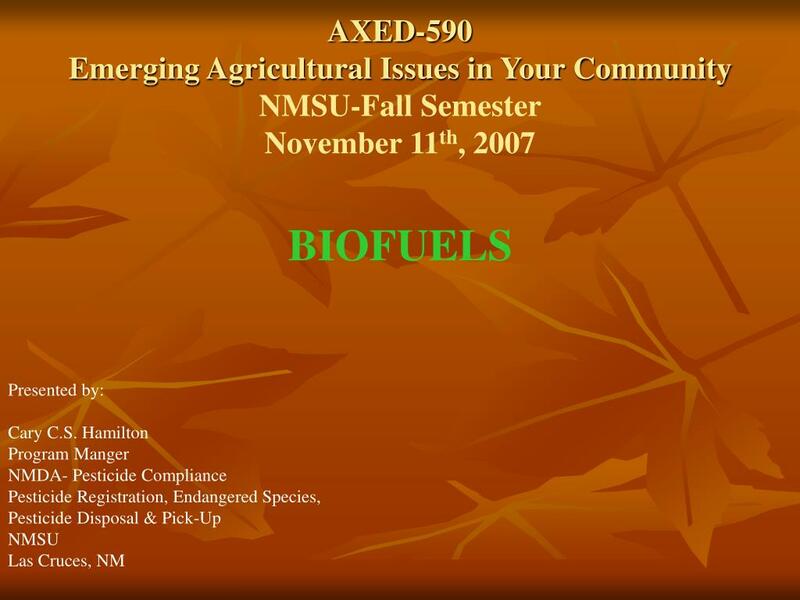 Note: Algae produces 4,000 gallons of oil per acre per year versus 50 gallons per acre for soy. 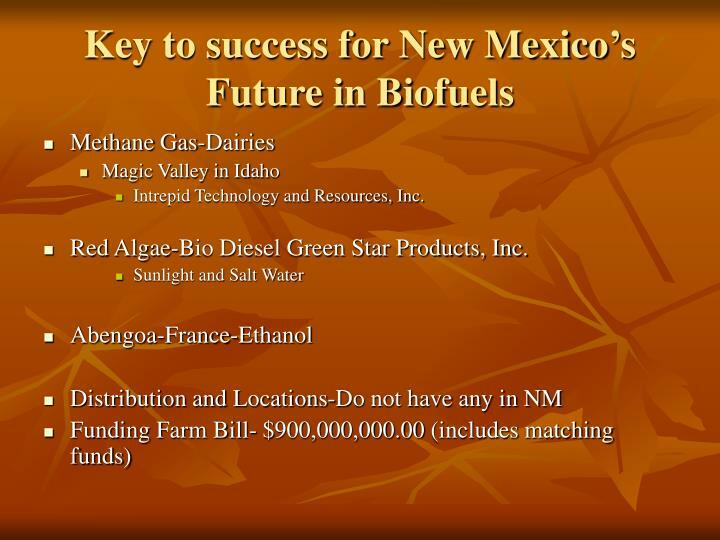 Intrepid Technology and Resources, Inc.
Red Algae-Bio Diesel Green Star Products, Inc.
Who is going to regulate Biofuels?